Jakarta, 21 January 2019 - Jojonomic, Southeast Asia's leading expense and business management platform, has successfully closed a new round of funding led by Fintech VC fund Finch Capital, supported by existing investors East Ventures and Golden Gate Ventures. With this round, Jojonomic expands its shareholder base which now covers Europe, the US, Japan, Indonesia, and Southeast Asia. Jojonomic’s JojoExpense is the first digital expense management platform in Southeast Asia. Jojonomic’s mission is to develop "the Future of Work" and help employees achieve purposeful work by automating and bringing transparency to manual processes such as expense reports. 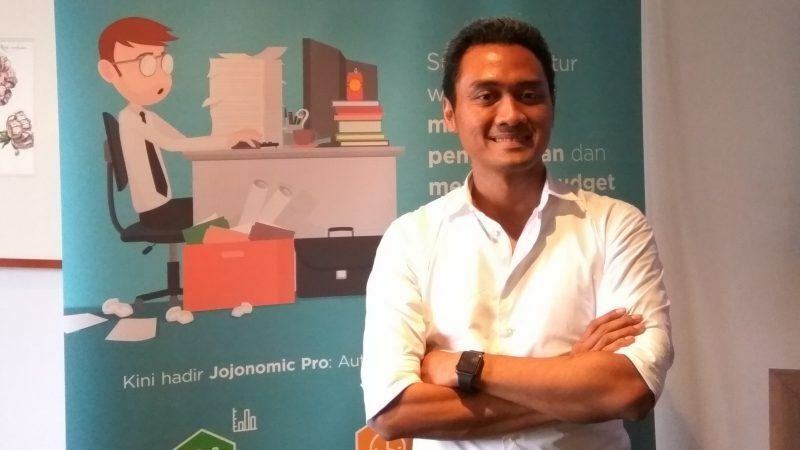 Founder Indrasto Budisantoso envisions that "by using Jojonomic, professionals will increase their productivity, focus on the things they are passionate about and let the platform handle time-consuming administrative tasks." Jojonomic’s cloud-based business suite helps companies manage business expenses (JojoExpense), enhance employee productivity (JojoTimes), manage procurement (JojoProcure), create a cashless ecosystem (JojoCashCard) and handle digital documents with intuitive approval flows. All applications are available in a single Saas platform (JojonomicPro) designed to transform the work of SMEs and enterprises. Jojonomic is integrated with leading cloud-based accounting and business platforms such as SAP, Oracle, Microsoft, Xero, and OpenBravo. The system is integrated with Indonesia’s five largest banks to enable direct account payment and reimbursement, providing end-to-end expense and cash management solutions. Jojonomic has tens of thousands of active users and support corporations and SMEs across sectors, from the region's tech unicorns to Indonesia's largest oil and gas state-owned enterprise. The funds raised will be invested in completing Jojonomic’s portfolio of business solutions, integrating external data, expanding its customer base across Indonesia and beyond, and developing further Jojonomic’s use of machine learning. Finch Capital is bringing its financial technology expertise and international network to support Jojonomic’s product and business development. Hans De Back, partner of Finch Capital who will join the Jojonomic Board, added, "Indonesia’s seven hundred thousand small and medium businesses and enterprises often face difficulties managing manual and offline expense and business processes. These inefficiencies result in wasted time, difficulties planning and inability to access payments and financing. Jojonomic addresses these issues by providing a seamless expense and business management platform to managers and employees ; this business model has successfully been executed by US and European peers. We are excited to support Jojonomic and look forward to working together in facilitating the daily activities of Southeast Asian businesses and creating the future of work". Jojonomic is a financial technology and cloud-based business solutions platform based in Indonesia and with clients across Southeast Asia. Jojonomic has the mission to lead the Future of Work by providing SMEs and enterprise clients with expense management (JojoExpense), time and productivity management (JojoTimes), procurement management (JojoProcure), and cashless cash management (JojoCashCard) solutions.